Planning Permission granted for remodelling of Harrogate home. 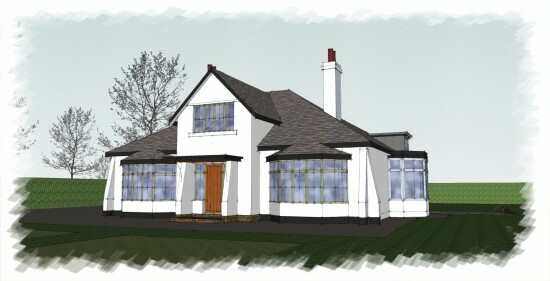 Planning Permission has been granted to remodel a 1920’s bungalow near The Stray into a substantial five bedroom home. The design develops the ‘Art & Crafts’ style of the bungalow and provides an improved entrance, extra bedrooms and a new family room with kitchen and dining space overlooking the garden. The Planning department agreed that the design ‘improves the overall character of the property’.